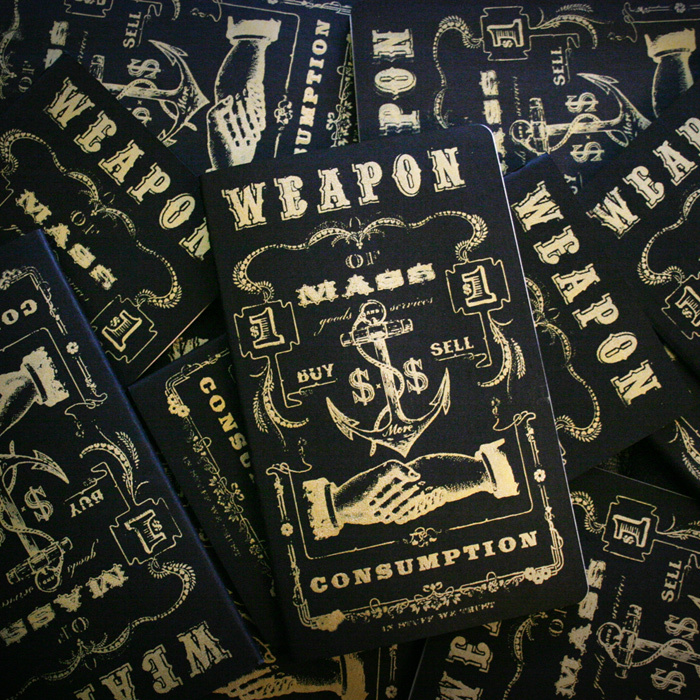 This is a custom notebook design I created for, “Weapon of Mass Consumption,” a personal project of mine. They are hand-silkscreened in gold ink on matte black moleskins. There’s more than crafty grandmothers on Etsy.